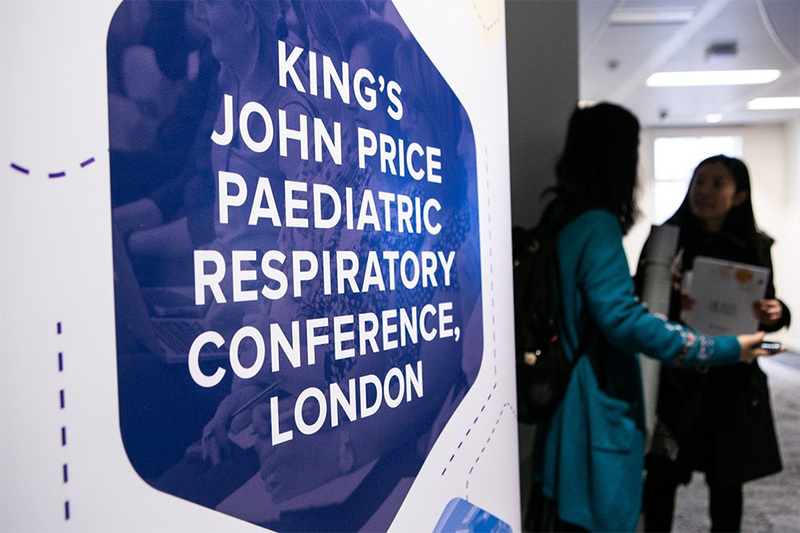 The Fifth King’s John Price Paediatric Respiratory Conference, having enjoyed an extremely well received day of pre-conference masterclasses and the ‘Science and Story’ themed Opening Ceremony on the 2nd April, opened the main conference programme on Wednesday 3rd April 2019 in the stunning setting of the newly renovated an opened Bush House. The programme was packed with all-delegate keynote plenaries, as well as smaller group concurrent sessions selected by delegates to align with their own personal interests. With a focus on collaborative discussion of the diagnosis and management of a diverse range of paediatric respiratory disorders, the conference welcomed over 300 delegates from across the spectrum of health and allied practitioners for a day of paediatric respiratory excellence. For those delegates for whom a small group session over coffee and pastries appealed, a choice of five Personal Practice sessions were available for delegates to select to supplement their personal practice and goals. Some sessions focused on personal and professional development, with workshops on ‘Academic Survival,’ with practical pointers on writing academic CVs, grant applications and papers; and another on delivering effective presentations. Others allowed delegates to practice and develop their diagnostic and investigation skills with sessions on exercise testing and spirometry, whilst a final session gave delegates the chance to get hands on with allergy skin prick testing. We were lucky enough to have some speakers from our ‘Science and Story’ Opening Ceremony joining us again today for the opening keynote lectures, with national and international faculty speaking at our opening keynote plenary, ‘State of Art,’ presenting the latest updates in asthma research from across the globe. Professor Andy Bush opened with his keynote ‘The Dead Canary:’ providing insight into the impact of early impaired lung function on all cause mortality, and highlighting the effect of in-utero nicotine exposure on the developing lung. Debate abounded in the discussion session - should we be funding research into the effect of maternal vaping on foetal lung development? Professor Francine Ducharme, in her talk ‘Preschool Asthma,’ highlighted wheeze as symptom not as diagnosis, and emphasized that the same parameters needed to define asthma in preschoolers as is used elsewhere. Covering the latest evidence on the long term outcomes of treating preschool wheeze with a strong focus on evidence based interventions in preschool wheezers and their later life outcomes. Professor Stan Szefler presented his research and experience into lung function trajectories and their use as a clinical and patient facing tool for assessing and altering the natural history of asthma and prevention of long term adverse outcomes. The role of the effective scoring - and communication of said scoring - of disease severity and use of evidence validated tools to score disease severity has been a cornerstone of Professor Szefler’s practice, and he encouraged delegates to take the same approach with their asthmatic patients. Should we be using technological innovations to monitor asthma adherence? Professor Szefler believes technology can be integrated into practice to better monitor medication adherence. The conference concurrent session streams allowed delegates to select one of four smaller group concurrent sessions in both the morning and the afternoon to align with their personal interests. Each session shared research updates and practice guidance across combinations of lectures, open discussions, and activities on the session theme. Continuing the theme of asthma from the morning's keynote, this session invited delegates to consider dimensions in this common and often challenging to manage condition. Outdoor seasonal allergens and air pollution are often considered when coming up with asthma management plans - but what about the indoor environment? Attendees were taught about the importance of damp, moulds and other indoor allergens and how incorporating avoidance of these into asthma management plans can improve asthma control. The problems of maintaining asthma control during adolescence and key strategies for maintaining adequate control of asthma symptoms during this transitory time were discussed, as well as the evidence base for asthma education programmes and how these can be effectively utilised in practice. This varied session covered diverse systemic diseases and their relation to and interaction with the development of pulmonary pathology. The lectures covered the management of wheeze in children with sickle cell disease; the diagnosis and management of ciliopathy syndromes through recognition of a common phenotype in children with the spectrum of ciliopathy syndromes; and the contribution of congenital heart disease to the pulmonary health of children with these heart conditions. These in-depth, specialist-driven lectures were of great use to attendees who encounter these paediatric patients in practice. The talk on comprehensive management of disordered breathing in sleep in this concurrent session provided a holistic overview of how to investigate and treat children who have sleep disordered breathing; and non-respiratory disorders that result in excessive daytime sleepiness were explored to build delegates’ confidence in differentiating respiratory and non-respiratory causes of excessive sleepiness. An interesting session on sleep disordered breathing in children with craniofacial syndromes, covering the physiological and medical aspects of the condition. It has been a topic of great discussion and debate over the last few years: how we can avoid burnout, mental health issues and substance misuse problems in doctors, who often lead challenging lifestyles that make them unable to dedicate time to looking after themselves. This workshop was designed by dually qualified physicians and life coaches to teach attendees some simple, accessible skills from coaching that can be employed in their day to day lives in order to attempt to manage burnout and ‘remain resourceful.’ The session emphasised that investing in coaching and coaching skills is not a remedial action, but could allow clinicians to maintain their levels of resourcefulness and prevent burnout before it starts. Delegates had ample opportunity over a fantastic lunch provided by King’s Food to network with one another, to engage in further discussion with present faculty, and talk to our exhibitors, who included companies providing innovative pharmaceutical and technological solutions for respiratory pathologies. These ‘pearls of wisdom’ included an overview of habit cough, highlighting the value of a thorough history in diagnosis - which does not always have to be a diagnosis of exclusion - and reassuring parents when a diagnosis of habit cough is made, as well as discussing the long term sequelae of tic and other behavioural disorders in children who present with habit cough. In ‘What Kind Of Asthma Do I Have,’ the psychosomatic component of asthma and harnessing the proven benefits of placebo alongside traditional asthma treatment was explored. Mutual learning and the benefits of Western medical systems learning from resource poorer countries was a thoughtful end to the session, including learning from the efficiency and cost-effectiveness of telemedicine for treating rural or low resource populations, such as in India. A further session on sleep and non-invasive ventilation allowed delegates a second opportunity to learn about paediatric sleep disorders and the use of non-invasive ventilation, which is increasingly chosen over more invasive methods in neonates and the acutely ill child. The first talk covered the indication for and use of NIV in acute situations; including when to choose NIV over more invasive methods. A second session on the neurocognitive consequences of childhood obstructive sleep apnoea outlined the growing evidence base for neurological, cognitive and behavioural sequelae in children with poorly managed obstructive sleep apnoea. This broad ranging session, with talks on rhinitis and sinusitis, food allergies and eczema - thus giving an overview of the atopic triad - examined the use of local allergen testing in skin prick negative children with allergic symptoms, and the impact of allergic rhinitis on sleep, concentration and school outcomes. Updates on the early diagnosis and management of food allergies and upcoming treatments in eczema completed the atopic triad update, equipping attendees with the most up to date evidence base in order to equip them with the knowledge they need to provide their patients with gold standard care. This holistic practice-based session led by a specialist social worker introduced attendees to the benefits of using active positive thinking in practice in order to protect practitioners against the pitfalls of burnout and mental illness. This active workshop went hand in hand with the morning’s Health and Wellness session to provide a theme through the conference of protecting the wellbeing of practitioner as well as patient. Our closing plenary talks reflected the opening talks in that they welcomed a diverse range of clinicians, both in discipline and geography. Professor Felix Ratjen joined the conversation from SickKids Toronto, elaborating on his experiences monitoring and managing early lung disease in children with cystic fibrosis, highlighting the use of multiple breath nitrogen washout as a standard monitoring investigation and the advantages and disadvantages of MRI in monitoring disease. Professor Leila Kheirandish-Gozal’s plenary on adenotonsillectomy - a procedure that has waxed and waned in popularity over the last fifty years - presented work on the contribution of adenotonsillar hypertrophy on obstructive sleep apnoea; a condition that affects 3/10 children. Professor Kheirandish-Gozal emphasised the importance of viewing children with OSA holistically, taking the history and examination in conjunction with hypoxia indices and sometimes sleep studies; particularly as her work has shown that many children have residual OSA after adenotonsillectomy, impacting on the decision to take a child to theatre. She also spoke on her experiences with successfully managing OSA with either oral, nasal, or a combination of anti-inflammatories. Our closing discussion of the day, chaired by Dr Will Carroll and with the expertise of Professor Antonio Nieto, was a conversation surrounding the latest evidence in long term outcomes in paediatric severe asthma, and what clinicians treating children with severe asthma can expect - and the best outcomes to aim for - in terms of morbidity as these children transition into adulthood and adolescence. Those who wished then joined the conference committee in the evening to enjoy a celebratory fifth anniversary dinner. 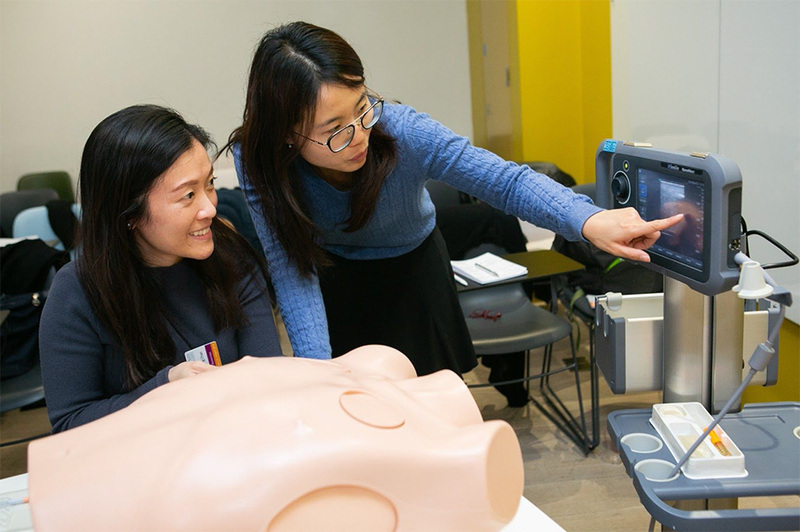 Day 1 of the conference has showcased the diversity of paediatric respiratory practice as a specialty, as well as generating some lively group discussion, both in person and across social media. The conference organisers look forward to welcoming delegates back tomorrow to continue to provide updates, practice pearls and wisdom to our valued delegates. Thank you to our speakers and session leaders for joining us today for our fifth annual conference, and to our delegates for giving up your valuable time to contribute your thoughtful insights. We look forward to even more discussion on Day 2. For the highlights of the pre-conference masterclasses and the Opening Ceremony, see our Day 1 Highlights Blog. 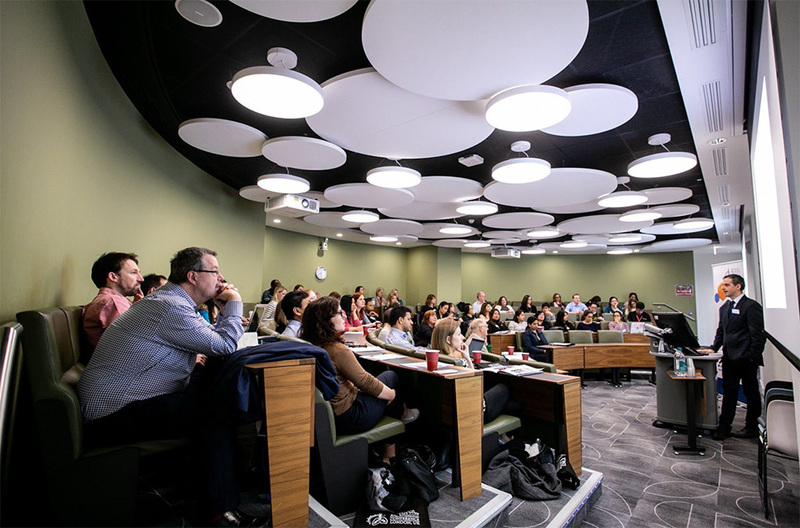 If you weren’t able to be at the conference this year, insights can be found on our Twitter feed @LondonPaedResp or by searching this year’s conference hashtag ‘#paedresp2019’.